Offering huge potential to extend and improve, this semi detached cottage is offered for sale with vacant possession. 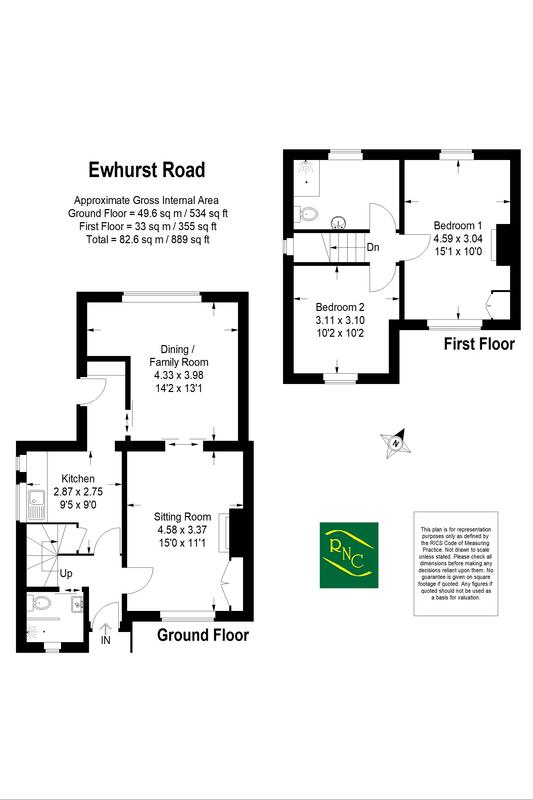 The accommodation is arranged over two floors with sitting room, dining room, kitchen and shower room on the ground floor and two bedrooms and a modern shower room on the first floor. The property sits on a good size garden plot and offers great scope for extension and improvement, subject to the usual planning consents and we highly recommend visiting in order to fully appreciate the potential on offer. From our office turn left into the High Street and proceed to the second mini roundabout, bearing left into the Ewhurst Road. Continue for approximately half a mile, over the mini roundabout and the property will be found on the left hand side, just after the turning left into Summerlands. Comprising; range of units with cupboards and drawers under work surfaces with stainless steel single drainer sink, understairs cupboard with plumbing for washing machine. Range of fitted storage cupboards, back door to garden. Fitted with white suite comprising; walk-in shower with thermostatic shower, wash hand basin, close coupled WC, fully tiled walls. (Formally bedroom two). Fitted with a shower enclosure with thermostatic shower, close coupled WC, wash hand basin. The property has a low picket fencing leading to front garden which could be utilised as a parking area for several cars (in line with neighbouring properties, subject to the usual consents). Side access to rear garden which is a lovely feature of the property being of good size, mainly laid to lawn interspersed with flower and shrub borders. At the foot of the garden there is an aluminium greenhouse. Sale is subject to a grant of probate.